Free download FidoCadJ latest version. A multiplatform vector drawing program with a complete library of electronic symbols. Schematics and drawings are stored in a very compact text format. There is no netlist concept behind the drawings (so no simulation, and this is a choice) but this allows a great graphical flexibility and ease of use, making FidoCadJ the perfect tool for exchange sketches in forum and newsgroup discussions with a few clicks. 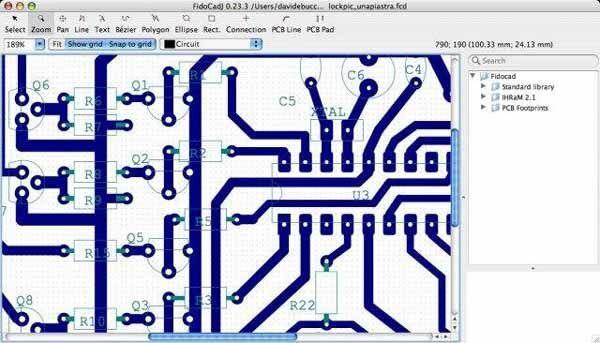 Features: Draw electrical schematics and simple PCBs. Export in a variety of graphic formats. Multi platform. Easy to use.